We are proud to be the first in the USA to offer the E-foil experience to our clients. 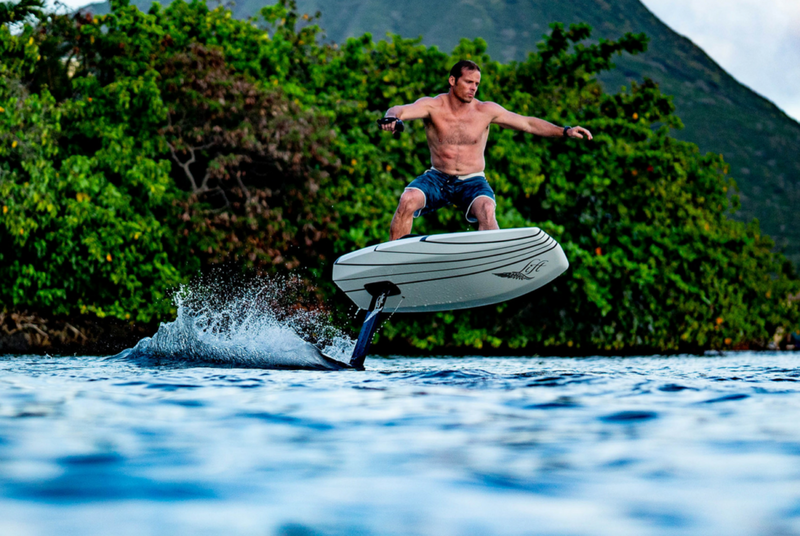 An electric powered hydrofoil that glides effortlessly across almost any body of water. 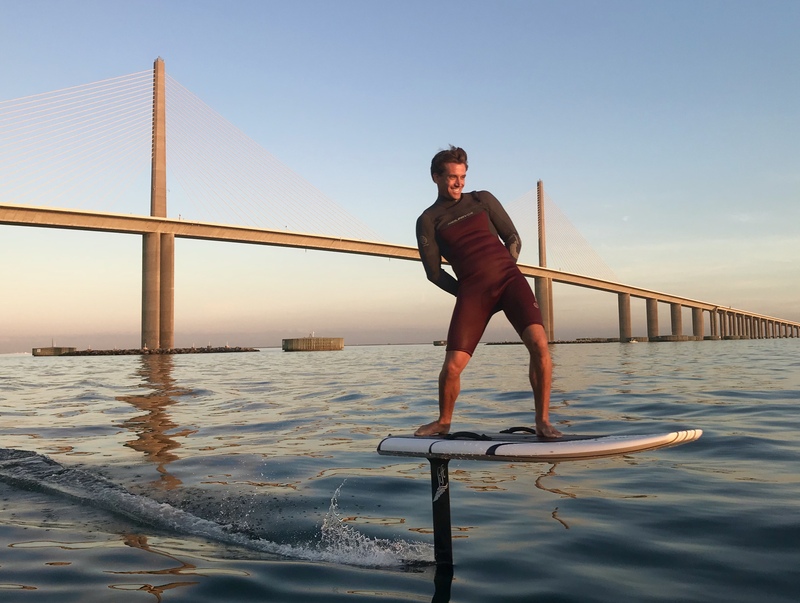 It’s easy to learn and ride, with multiple settings to allow different riders to either take it easy or take advantage of the eFoil's maximum speed and agility setting. See why this is the ultimate watersports experience. Learn how easy it is to fly across the water. It is the ultimate feeling of being able to virtually float above the water in silence. With such a high-end product, we provide high-end coaching. You will be provided a life jacket and helmet and will be accompanied by an Elite Instructor. 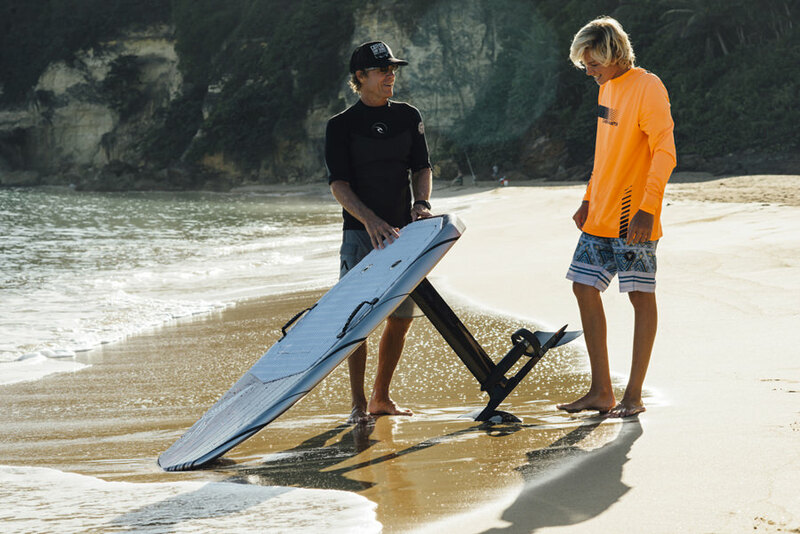 Our Instructors will either have their own E-foil or Jet ski for support. Upon request, we can do offsite training at your specific location such as a house on the water. $500.00 = 3 hour Private Lesson with snacks and refreshments on the same day. After you have mastered the eFoil, you may begin to feel the urge to explore. We do customized rides through the back waters of Tampa Bay. Follow us through winding canals and estuaries. Our instructor will be equipped with his own eFoil where you will share carving lines in butter flat water. Requirement for this booking is a 1.5 hour lesson prior to the date of the eco tour. $300.00 = 1 hour with tour guide. $200.00 = 1 hour with your own unit and our guide. After your lesson, or some may say "demo", you may be interested in the purchase of an eFoil. Why buy a Lift eFoil? In their composite factory, located in puerto Rico, Lift has been engineering foils for almost a decade now. Their attention to detail has separated them from the rest. The Lift eFoil is made of all carbon with a total weight of only 30 pounds. Buying through our shop will also give you support for any questions and concerns. $12,000 = Board, foil, wing, strut, hand-controller, removable/rechargeable battery for the eFoil, battery charger, cleaning kit, toolkit, manual, quick start guide, and cases for safe transport of all included items. After any purchase through us, you will receive a free one-on-one lesson. We are proud to be the first in the USA to offer the E-foil experience to our clients. 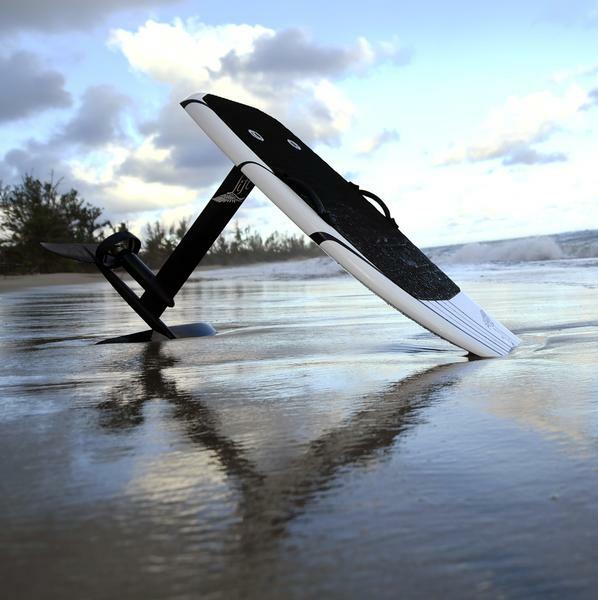 An electric powered hydrofoil that glides effortlessly across almost any body of water. It’s easy to learn and ride, with multiple setting to allow different riders to take it easy or take advantage of the eFoils maximum speed and agility setting. See why this is the ultimate watersports experience.